Siri, Google Now, Cortana: The Ultimate Digital Voice Assistant? Digital voice assistant: Siri, Google Now or Cortana? Love it or hate it, voice-activated digital assistants have become quite popular on smartphones now. They allow us to control various things on our phones without the use of hands, offer a speedy alternative to ask questions and they feel like the future. As smartwatches like Pebble, Galaxy Gear or G Watch and other wearables like Google Glass take off, which lack the big touch screens we find on our phones, voice controls are going to get even more important. However, Microsoft had offered basic voice commands in the old Windows Phone since, but now they appeared in bandwagon of rivalries with the name of Cortana (an intelligent assistant) that offers basic commands just like Siri but also draws on your calendar, contacts, location and browsing history to offer personalized experience just like its big rival Google Now. Lets take a deeper look to measure all three. May be you’re wondering where the name came out of, Cortana is an AI character in the Halo Video Game series. 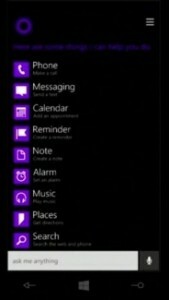 The very long expected personal digital assistant, Cortana was unveiled alongside Windows Phone 8.1 at Microsoft Build on 2nd April 2014. Obviously you can use it to make calls, send messages, set reminders, take notes, recognize music, find great restaurants nearby, check your calendar and more. No doubt Cortana is powered by Bing. It is able to understand your natural language and learn about you. There’s a notebook where Cortana stores information she has learned about you and you may also edit this directly if you like. This includes places you like to go, people you care about, your preferred quite hours, and things that you might be interested. If you have allowed Cortana to access, it can read your emails, track your location, watch your browsing history, check your contact list, keep an eye on your calendar and put all this data together to suggest useful information. Cortana is designed to recognize context. It is able to understand follow up requests and you can phrase things in different ways and amazingly you can expect a useful answer. Cortana also offers to type queries if you do not prefer voice or either in that environment which requires you to quite. The fact is that Cortana is tied with different unique apps and in result has a lot of potential. 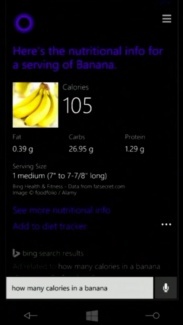 You could ask how many calories are in apple and it will reply or you may also direct Cortana to check Friends’ Facebook news feed. As more and more third party apps come on board there’s a lot of potential there. However the sad part till now is that Cortana still is in beta while Microsoft is refining the system, although demo was impressive. 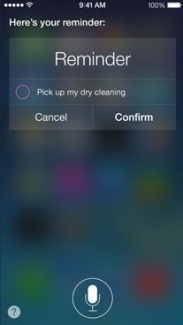 Siri, who came first in ground as a powerful virtual voice enabled assistant is offering with an attitude of its own. You can direct it to call people, send messages, schedule meetings, launch apps/games, play music, answer questions, remind you things later and also provides weather forecasts. The capability of voice recognition and functionality and level of polish are all significantly improved since Siri was first came out. 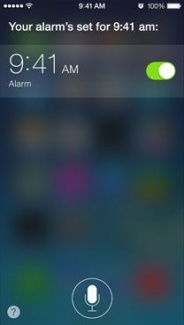 Siri was no doubt originally a digital assitant with attitude and, although Apple toned it down after acquiring the company. Its still packed with comedic responses to the right questions. 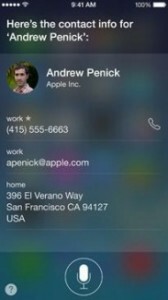 Though its still not clear till how popular Siri is with iPhone users. When Intelligent Voice surveyed around 2,000 iOS owners last October, two years after Siri was introduced as a feature of the 4S, it found that only 15.2 percent of the event tried it. Duhh! 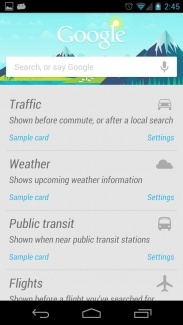 With Google Now for Android, you can do the usual personal assistant stuff as well, from asking for the nearest Vegetarian restaurant to finding out what the weather will be like tomorrow, but there’s more to it. If you opt it to using it which means you have allowing it to collect data, yes (here is Google). Then it can pre-empt your desires. 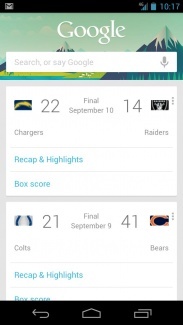 Google Now uses your search history to throw up news articles and sports scores you might be interested in. It will analyze you travel to bring up a relevant flights schedule, or give you a time estimate and the best directions to drive to you next location and tell you to leave so you don’t miss that appointment. However, just like Siri the voice recognition has improved a great deal since it was first released of the preemptive card system that serves your interests has not been fully realized, but Google is adding new cards all the time. Although Microsoft has really taken up things with Cortana. 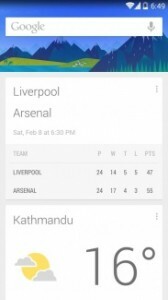 It appears to offer a lot of the same featues as Google Now, but it has the same fuzzy attitude as Siri, and a few unique tricks up its sleeve as well. Both Cortana and Google Now offer something that Siri can’t deliver yet, the fact that I realized is that Microsoft and Google can draw on huge amounts of user data through the services they offer. Apple does not have the search engine, email system, and other services Microsoft and Google have. Although, it is too early to say for sure that Cortana can take personal digital assistants to a whole new level. Its the best feature for Windows Phone 8.1 since the debut of Windows Phone. Moreover, do share your experiences you have with any of the three digital assistants.